Discover your future with these stunning and magical cards inspired by mermaids and dolphins. 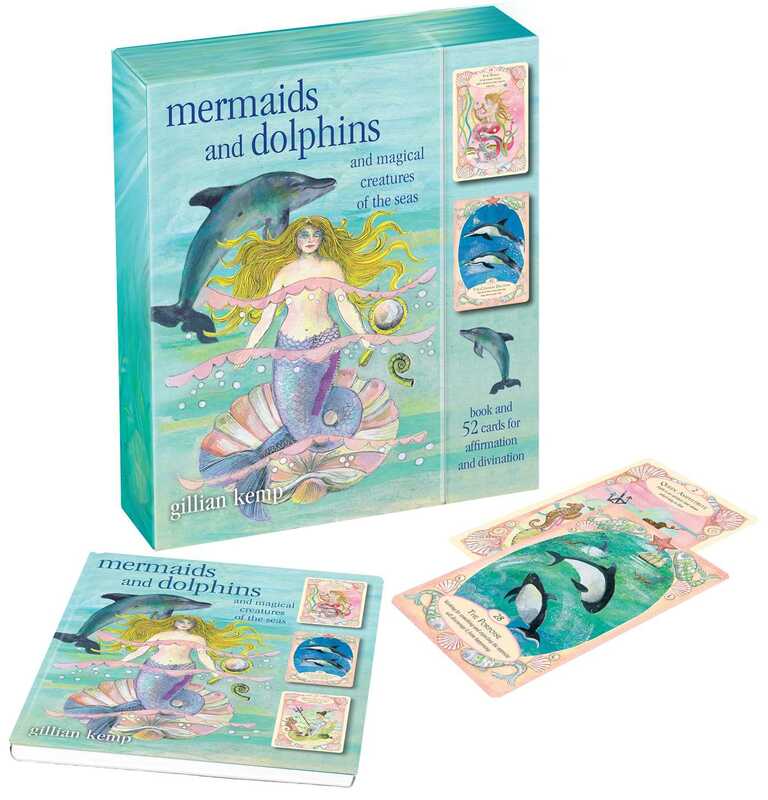 Pick up Mermaids and Dolphins and divine your fate these 52 beautiful cards expressing the magic of two of the ocean’s most beguiling creatures—the mermaid and the dolphin. The mermaid, mistress of fateful beauty and queen of her realm, will command your attention as she divulges her knowledge of the unknown, while the dolphin, an ancient symbol of healing and salvation, will appear to you with other creatures of the seas to bring you gifts of light and learning. Together, the mermaid and dolphin rule the ocean and together they will help to reveal the hidden depths of your destiny. Choose a card each day as an affirmation, or try one of the ten layouts shown within the illustrated book to foretell the future and connect with your deepest desires.